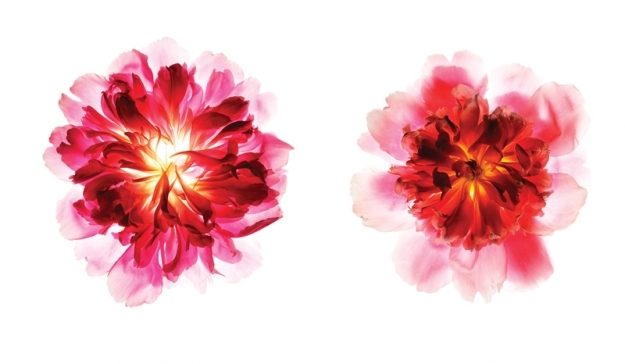 How was Claire Benoist's flower diptych picture shot? Any thoughts on how it was shot? 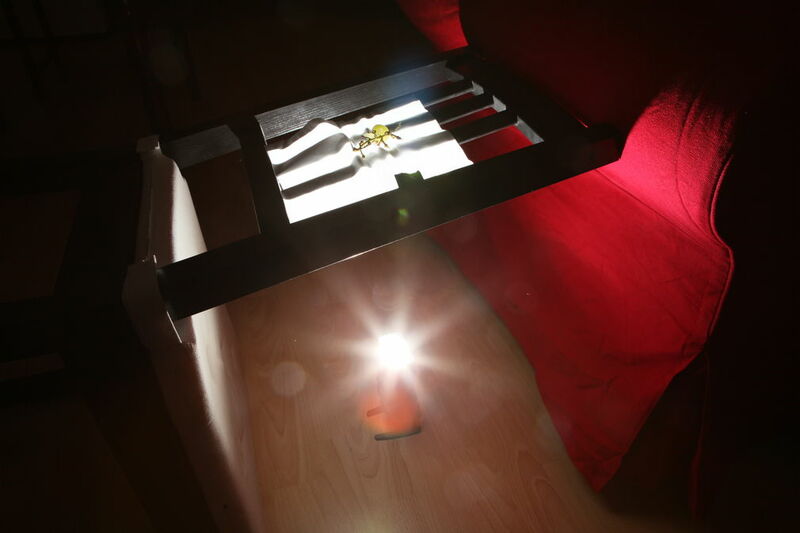 This might be possible to do by putting the flower on a transcluent table (like this one) and lighting it from below. The article even suggests it by saying "She backlit each flower with a (...) strobe (...)." Just some thoughts: assuming the average person does not own a translucent table, I'd cut just the flowers' heads from the rest of the plant (maybe these are just petals, which I deem highly probable) then arrange them on a piece of thin white styrofoam (or perspex covered with thin white paper) suspended on two boxes or book or whatever. A diffusing layer (paper, etc.) is necessary to avoid massive flare and to have the background come out quite uniform. Also simple white fabric (i.e. blankets) should do the trick very well, if properly arranged. One light (strobe or continuous) needs to be pointing upwards under the plane where the subject rests. This, even if very powerful, could be not enough to light effectively every part of the subject, depending on its thickness, so another light source (MUCH weaker than the first) could be directed (in symmetrical opposition to the fist one, maybe through some diffuser, say an umbrella) from an higher point straight down on the petals/flowers. 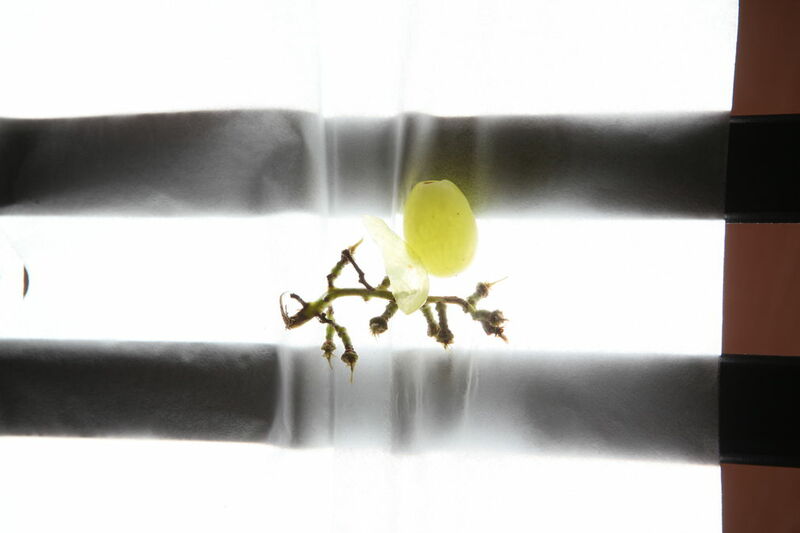 The second lighting scheme could yield undesirably flat results, to be improved in post production assigning appropriate values to different parts of the flowers. Some curves treatment could be needed even if using just one bottom light, part to reduce some loss of contrast due to stray light getting into the lens, part to make sure all the background clips to white while retaining detail in the petals. A proper lighting and arrangement of individual petals (to be done, I dare say, with the help of a light bulb or flashlight) is however extremely important for this shot, which can be fixed in pp only partially. Of course the two halves of the diptych can be shot separately. (I just noticed: for some reason saturation in firefox appears to be much higher than supposed, blowing out detail in the edited version and giving a color harsher than intended. I can only think of color space issues, but why? it's all sRGB. Anyway, if your firefox shows unnatural color, download the image and it will look fine in any program.) UPDATE: fixed replacing the images with copies that don't have their usual color profile embedded, sRGB IEC61966-2.1. Any idea why? 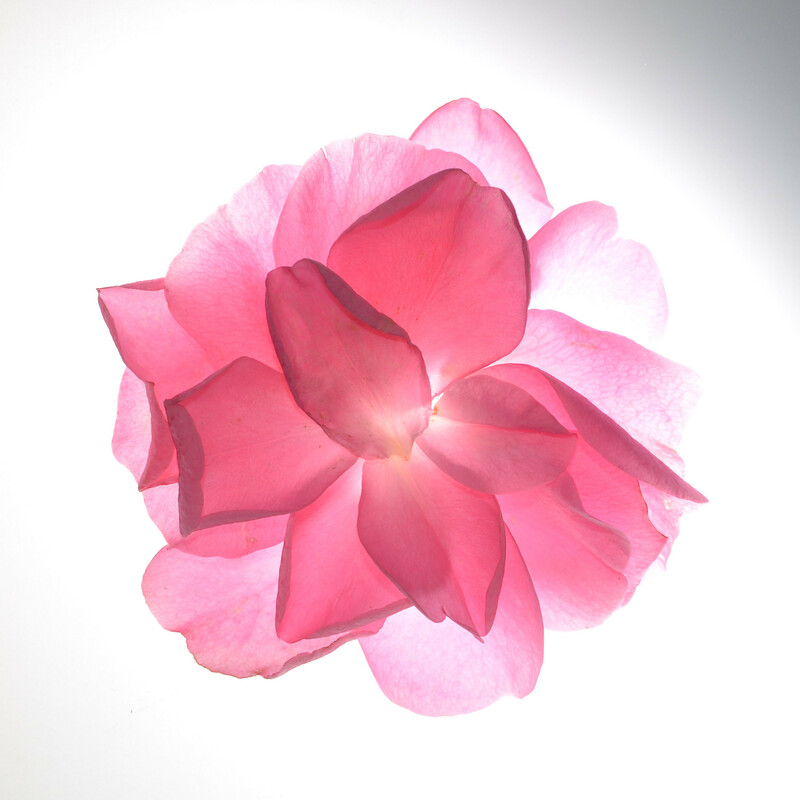 Oh, a note: this experiment shows, IMHO, that just one light from below is needed for this kind of shot, as having a second light, even a weak one, causes loss in detail and makes it harder for the petals to have the translucent look we want. Technical data for the shot above: DX Nikkor 35mm f/1.8 @ f/5.6, 1/200s, ISO 100. Tip: use maximum flash sync speed to exclude ambient light. How to light the real world shot like this mock up? How to reproduce this shot of a person with reflections in front of them? Does anyone have any information on Canon's VL mount regardng pinout and protocol?